This program is specially designed to produce knowledgeable, skillful and expert Science, Technology and Innovation policy makers and researchers. This program trains graduates to create a continuous flow of innovative ideas by leveraging on the existing stock of knowledge in STI related policies that will benefit industry and the research community. 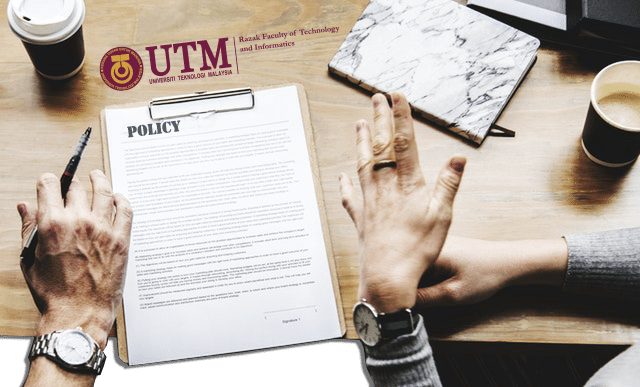 UTM Perdana School is committed to produce experts in analyzing policy issues at the intersection of science, technology and innovation. This program will be conducted at Perdana School (UTM Perdana), Universiti Teknologi Malaysia, Kuala Lumpur. Exploring the various knowledge and theories suitable for the particular research context. Identifying and analysing the research problem critically and creatively and producing well thought research proposal. Justifying and verifying the research proposal or solution using various related fundamental theories. Performing the research in a systematic/scientific manner. Writing and publishing their research work in both national and international refereed and high impact factor journals. Presenting and defending their research work in national and international conferences, and finally during their oral viva. Demonstrating practicing ethical code of conduct professionalism. This program is fully research-based. The program requires a nominal duration of six semesters (3 years). The progress of the student is assessed each semesters through a progress report.The degree is awarded based on a comprehensive examination (viva voce) of the doctoral thesis submitted by the student at end of study. All PhD research are supervised by academic staffs from the Graduate Faculty member. Master’s degree in any field of study or a related discipline from Universiti Teknologi Malaysia or any other institutions of higher learning recognized by the UTM Senate.